As part of my ongoing quest to document the origins of the American ska and reggae scene of the mid- and late 1980’s, I am profiling key musicians and bands who played an important part in giving birth to a uniquely American ska and reggae sound. 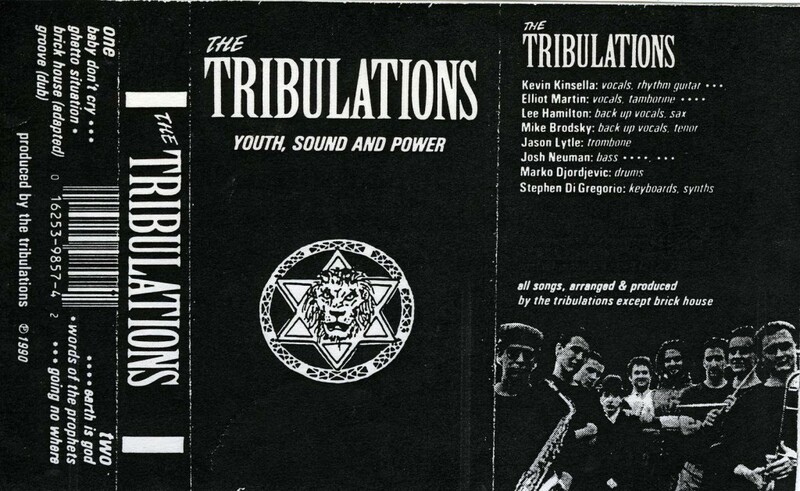 One of those bands was The Tribulations who hailed from upstate New York and would serve as the roots for the very popular American reggae band John Brown’s Body. I remember The Tribulations with a mix of awe and envy. My band Bigger Thomas played a show with them at the legendary Wetlands in the early 1990’s. During the sound check, I remember thinking that the band had great energy, a great look and a seriously focused determination to make reggae music on their own terms. They played a unique version of reggae (along the lines of my band’s sound with ska, that mixed in their various influences and made it their own). It also helped that they had two charismatic front men — Kevin Kinsella and Elliot Martin — and a killer horn section. I was 15 years old. I got my musical calling from when I was living in Ireland. That is when I got the word that I was going to play music. Not that I knew at the time, but that is definitely where I got the calling. I was living over in Ireland for some time because my father is from there. (Bob Marley’s) Legend had been released and I heard that song “One Love (People Get Ready)” and really just moved me so deep. It stayed with me. I came back to America and bought his records. I didn’t know what to make of it. I thought it was Christian funk music. I put the record down and I thought it sounded like a Christian Rick James. I kept coming back to it though. In my hometown of Ithaca, New York, where I was born and grown, there was a great reggae show every Thursday. There was a club owner in town who actively brought in the legends of reggae music. I used to go down when I was 15 or 14 years old and see groups like the Meditations and Gladiators, The Itals, Culture. That fostered such a deep reverence of love for reggae music and the message of righteousness. I saw these people as prophets. As the band played more shows, Neuman decided to quit school and The Tribulations went on tour full time. Kinsella explained, “We wanted to play South by Southwest in 1991, so we set up a tour on the way down, and another on the way up-after that, we just kept going.” In 1992, the Tribulations entered the Yamaha Soundcheck Competition along with 4,000 other bands from around the world making it to the finals which garnered the band massive international publicity. 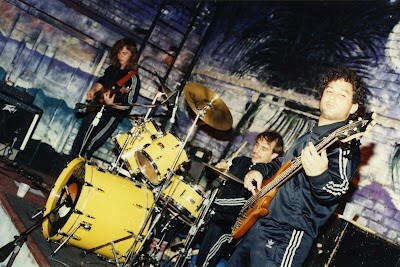 The competition also gave them the opportunity to record “The Gate” which was the first of two albums the band would record and release. After leaving the Tribulations, Kinsella began to seek the more spiritual side of roots reggae, and along with other members of The Tribulations founded John Brown’s Body. “We got recentered spiritually and musically and knew what we wanted. We just thought it would be better to come with a new name and come fresh” said Kinsella. John Brown’s Body is now considered one of the premiere American reggae band’s and Kinsella, who left the band to pursue a solo career remains a formidable reggae talent as well. Below is rare video footage of the band performing a show in Ithaca, NY in 1988, Woodbury, CT in 1990, and Los Angeles, CA in 1992. Finally, a very special treat! I discovered a track from the long out-of-print “The Gate” cassette only release. Enjoy! The Tribulations – 80’s Reggae Band From Ithaca, NY Sow The Seeds Of John Brown’s Body was originally published on September 7, 2012, at MarcoOnTheBass.blogspot.com. We are grateful to Marc Wasserman for his permission to re-post this article in its entirety. Marc is the co-founder of Tribly Records, a boutique ska and reggae label who put's an on fairness, honesty and good music. After discovering the New York ska scene of the mid-80's, Marc started the first ska/reggae band from New Jersey called Bigger Thomas. 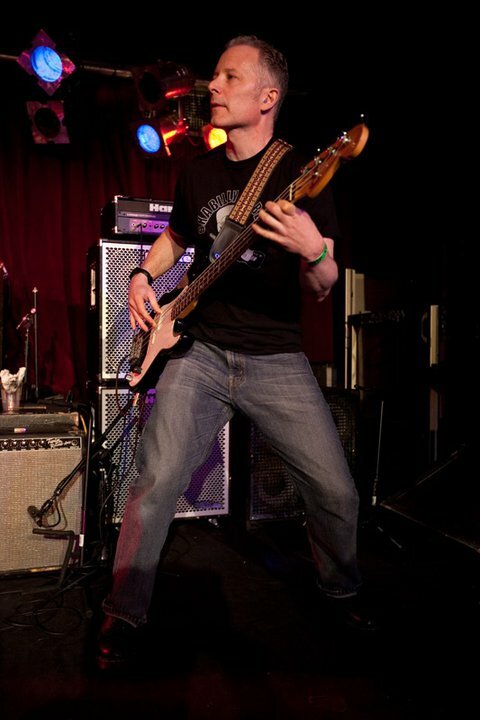 Marc also writes a popular blog about ska music called Marco On The Bass.